Anyone who is new to the world of investing needs to have access to reliable advice, support and information, to help ensure that they make beneficial investment decisions. The new investing course from Modest Money addresses this need. Access to the course is completely free. New investors simply need to register, to get the head start that that they need. The course includes online training, investment advice and access to exclusive content. It’s the ideal choice for novice investors who are looking to develop successful investing methods. Access to exclusive investment articles. Access to to the tools and methods of investment experts such as Benjamin Graham. An audio version of the book. There is an array of content included in the course that covers different aspects of investing. Many investors find that the support they have access to is available from different places. This can make it difficult to bring everything together. 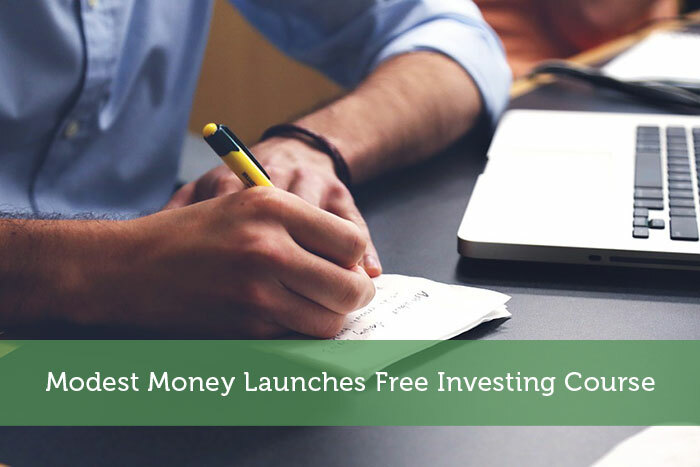 One of the biggest advantages that investors, and those looking to invest, get from the Modest Money course is that all of the information is available in one place. It’s easy to take the training and then spend some time reading valuable articles, without having to waste time searching different websites. Once people sign-up for the course, they can start improving their investing acumen straight away. To receive free access simply subscribe to our newsletter at the bottom of this page. You will receive an email with a link to the course.